I have been using the same fitness trainer since 2001. I don’t say this to boast about my fitness but to explain why after 18 years I still need a trainer. After all those years, I feel I should be able to put together a great workout plan, execute proper technique, and listen to my body to determine when I can do more or when to take a break. The reality is that I don’t feel I can do any of those things for myself as well as my trainer does them for me. 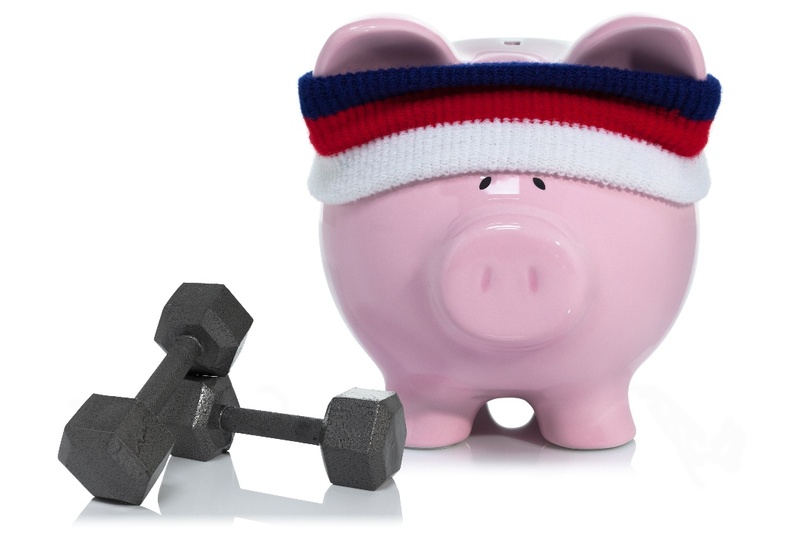 Just like working with a fitness trainer, a financial planner may be able to help elevate your finances in a way that is hard for you to do yourself—no matter how good at the do-it-yourself tools you may have become. When I work out between training sessions, I generally work harder because I know my trainer has expectations of me. She can tell if I am doing my “homework” by how much progress I make at our sessions. On the cold, dark winter days when I would much prefer to stay in bed rather than get up and go to the gym, knowing I have someone to hold me accountable gets me to get up and show up. I can’t tell you how many times our financial planning clients have waited until they know they have a meeting with us on their calendars before they complete their financial planning homework from the last meeting. It is human nature to procrastinate, and having someone to hold you accountable can help. A financial planner can help you make your financial health a priority, be there to remind you why you originally set your goals and work through changes as they come up. My trainer’s coaching doesn’t stop when I walk out of the gym. My “homework” often consists of stretching, conditioning, and range of motion exercises that I can do from anywhere. These exercises help me make progress at each training session, and ultimately build good habits. The discipline to form good habits applies to many aspects of our lives especially fitness and finance. I actively participate in three sports: golf, beach volleyball and skiing. Our workout routine varies seasonally to maximize the training for a given sport. Financial plans don’t often vary seasonably but they certainly have some longer-term predictable “seasons” such as early-life planning for college, mid-life planning for career changes and retirement and end-of-life planning. These are all “seasons” that require different tools and training. The workouts my trainer prepares are designed to combine different muscles all getting work at the same time versus isolating one muscle at a time. This technique not only gets in more work in a short amount of time, but the functional workouts are designed to mirror real life strength demands. Her knowledge is more than I will ever have, and her experience to know when and how to coach me is what I value most. We often think we are dotting all the i’s and crossing all the t’s in our lives until we work with a professional, and we find out that we don’t know what we don’t know. I didn’t realize that my chronic back issues were caused by weak stomach muscles and tight hip flexors; I thought going to a chiropractor would solve my back issues, and I was wrong. It took the combination of a chiropractor aligning my back, and the fitness trainer strengthening the muscles so my back would stay in an aligned position to have a long term solution. Working with a financial planner may help you answer nagging questions like “Will I have enough for retirement?”, but also uncover components you may not have thought to ask. For example, you can think of your retirement plan as a bike wheel with spokes that include investment planning, tax planning, estate planning, an insurance review and other financial elements, as needed. If one of those spokes is broken, the wheel won’t function properly. All of the spokes of your financial wheel work together to increase your income, reduce your tax liability and more effectively move toward your goals. In this world of easy access to information, it is essential we find people we trust and resources to filter out the noise and to understand what we are individually trying to accomplish and where it makes sense to get help. My trainer knows my fitness goals as well as my strengths and weaknesses. She knows when I can do more and when it is time to give my muscles a break. I consider her my first line of defense to keep me out of the doctor’s office. She is part of my tribe and I hope I am part of hers. She encourages and inspires me to do my best and continually acknowledges how far we have come together. Like choosing a trainer, choosing the right financial planner is important. Finances, like your health, can be a very personal topic, and it’s important to research firms to find the right fit. Read here for a list of questions and topics to use as a guide when selecting a financial professional. As planners we are so often inspired by the commitment our clients make to their financial futures. Their goals can’t be accomplished over night, they may take years of paying attention to what is important in their life and making a commitment to daily good habits that step by step will bring them closer to their destination. Professionals in our lives help us build the path, help us to find the most efficient way to get there, help us to find the way back to the path should life throw us a curve ball and encourage us to do our best every day.